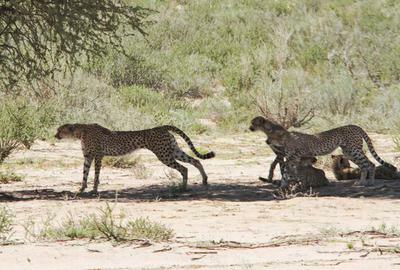 As previously mentioned Sherry and I saw numerous cheetah in the Kalahari this last trip 3-15. Including a group of 5. 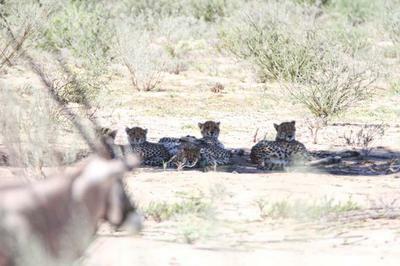 As they were about the same size, we're not sure if it was a mom with 4 cubs or a coalition. In any case thye were fun to watch and photograph. we even saw them climbing a large tree, with two in the tree at once. That's for another post. Hope you enjoy these. The pile was neat. Another great sighting Bob, thanks for sharing with us. 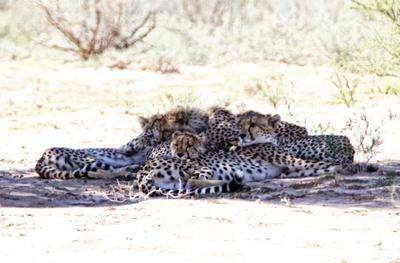 We normally see the cheetahs all sprawled out - most unusual to see them huddled together! 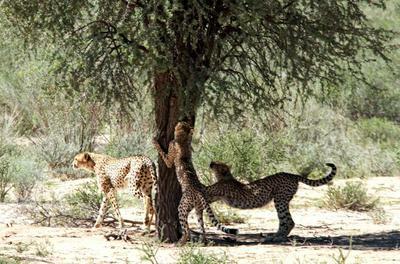 The Kgalagadi is the best place to see cheetahs - great sighting!